Learning in this programme is self-directed, supported by web-based resources over a 24 week period. Learning mainly takes place in practice. It involves carrying out a work based project through to completion. Participants register online, and follow a series of six phases. Why health visitors, why now? Health visitors are able to build community capacity. Building from the principles which we have espoused for more than three decades, to search out health needs, to stimulate awareness of health needs among individuals, families and communities, to influence policies affecting health and wellbeing and to facilitate people in engaging with health-enhancing activities (CETHV 1977). Health visitors are seen as bridging and guiding the complex networks of people required to support children, families and communities to achieve the best possible health outcomes. However, whilst the existing workforce has the potential to undertake this role, many people have been overwhelmed by current workloads, and few have been able to sustain the necessary skills or up to date knowledge. This package is designed to facilitate existing health visitors to gain confidence and extend or renew their skills in building community capacity. The teaching and learning model adopted draws on principles from the work of Boud and colleagues (2006), in particular the notion of productive reflection which harnesses reflection on work experience and work practice to enhance engagement and outputs as well as learning. For further advice please contact your workplace adviser who is appointed by your NHS employer. As part of your participation in the Building Community Capacity package you are expected to plan, implement and evaluate a change in your practice which demonstrates how you have worked with individuals, groups and the wider community to build their capacity to enhance health and wellbeing. Your chosen ‘project’ will help you implement what you have learnt through the programme and to demonstrate to others how the programme has influenced your practice. You are welcome to work on a ‘project’ either alone or with a small group of colleagues. It should help you to deliver some specific developments / improvements with clear, measurable outputs in partnership with the local community. Developing a reflective portfolio will help you to document evidence of your thinking and skills which could be valuable for appraisal, and help you to verify aspects of your Knowledge and Skills Framework (KSF). For those of you who want to build on existing qualifications and get recognition for taking part, you may want to follow our accredited route. Northumbria University offer accreditation for your learning from this package (30 postgraduate credits). For further information on how to gain accreditation at Northumbria University click here. Your local university may also offer accreditation via a work based learning route. The Credit Accumulation and Transfer Scheme (CATS) allows any university or college in the UK to recognise academic work completed with another Higher Education Institution. Completing the package could help you to build towards a Bachelors or a Masters degree, depending on the level of your existing qualifications. Even if you don’t take this option now, most providers will consider evidence of study undertaken within five years. You could then apply for accreditation of prior experiential learning (APEL) where you can gain credit towards a specified course at your chosen university. Building Community Capacity can take many forms from working with individuals to working with a large number of individuals within the community. While your ‘project’ may take a particular form it is likely that all Building Community Capacity projects will be focused on drawing out and strengthening the skills and knowledge of people to influence the health and wellbeing needs of themselves and others. Managing your work – Using an electronic portfolio (pilot only) or download your working documents to your own computer? If you use a computer at work or at home, you probably have enough IT and technical knowledge to cope! You need to know how to connect to the internet on the machine you use, and be able to use Google or another way of searching for websites. Once you have accessed the site it is easy to navigate. The standard package will enable everyone who completes it to gain evidence of their thinking and skills through a reflective portfolio, as well as delivering a capacity building project with clear, evidenced outcomes. The standard package will provide a good basis if you might want to use it for accreditation at a later date (but usually within five years of completion). For those of you who want to build on existing qualifications and get recognition for taking part, you may want to follow our accredited route. Northumbria University offer accreditation for your learning from this package (30 postgraduate credits- level 7). For further information on how to gain accreditation at Northumbria University click here. The Credit Accumulation and Transfer Scheme (CATS) enables any university or college in the UK to recognise academic work completed with another Higher Education Institution. Completing the package could help you to build towards a Bachelors or a Masters degree, depending on the level of your existing qualifications. Even if you don’t take this option now, most providers will consider evidence of study undertaken within five years. You could then apply for accreditation of prior experiential learning (APEL) where you can gain credit towards a specified course at your chosen university. Joanne Bennett is a Principal Lecturer and Programme Manager. She has a strong background in community nursing and has worked in Higher Education for the past 22 years. She has extensive knowledge and expertise in the design, development, delivery, evaluation and management of a range of professional programmes for community nurses and has worked closely with local primary care organisations to develop bespoke courses for staff working in primary care. Maggie Coates is Senior Lecturer and a qualified health visitor and community children’s nurse who leads on programmes for public health practice, school nursing and health visiting. Gill Franklin is a Practice Placement Facilitator working in NHS South of Tyne and Wear, Community Health Services. She is a registered Specialist Public Health Practitioner (Health Visiting) and a Specialist Practice Mentor. She has considerable community working experience and creates links between Northumbria University and practice placements to help support learning and quality placement experiences. Rebecca Groves is Principal Administrator looking after Research and Enterprise activity within the School of Health, Community and Education Studies. Rebecca has substantial project and financial management experience and supports and advises the project team in all aspects of financial management and administrative processes. David Nichol’s background, experience and academic qualifications are across the broad spectrum of information and communication technologies, with a primary focus on its strategic implementation and development into all aspects of learning, teaching and assessment. Carole Proud is Director of Practice Placements, supporting the development of practice learning opportunities for students of health, education and social work. Carole is a registered Health Visitor and Practice Teacher. She has led community engagement projects and has experience of evaluating developments in Early Years services. Ann Robinson has considerable community working experience, she has worked as a Health Visitor, District Nursing Sister and was leader of an integrated nursing team prior to joining Northumbria University in 2000. She is Senior Lecturer and Programme Leader for the Community Specialist Practice in District Nursing Programme. Gillian Shiel is a Principal Lecturer and Programme Manager who remains a registered nurse. As an academic, Gillian has substantial experience in working with organisations in developing, managing and delivering work based learning programmes. Dr John Unsworth is an experienced community nurse and former primary care organisation Nurse Director. He has experience of curriculum and short course design and a background in public health research and community development projects. Jonathan Yaseen is an experienced member of the learning teaching development team and has been responsible for the production of learning materials for students and staff. He encourages the development of innovative approaches to the provision of flexible and longterm learning experiences for the student, contributing to evaluation and outcome dissemination. Dr Lesley Young-Murphy is an experienced community practitioner, health visitor, and a former Director of Community Services, now Interim Director of Community Care and OD at NHS North of Tyne. Lesley has developed innovative work based learning programmes that facilitate wider workforce development with a focus on service improvement. We hope you enjoy following the programme, and find it useful in your work! If you already have an account with e-LfH, then you can enrol on to the Building Community Capacity programme by logging in to the e-LfH Hub, selecting My Account > Enrolment and selecting the programme. You can then access the programme immediately in the My e-Learning section. The Building Community Capacity programme is also available to NHS healthcare staff via the Electronic Staff Record (ESR). Accessing this e-Learning via ESR means that your completions will transfer with you throughout your NHS career. 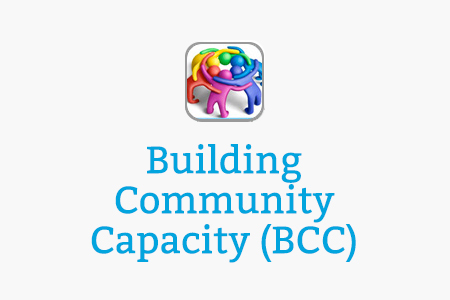 The Building Community Capacity programme is available to access using the Learning Zone section. If you access the content using this link, you will not have to log in but your activity will not be tracked and you will not be able to generate a record of completion. This package is designed to be work based (mainly undertaken in your work setting) and to make a difference to your community and its health and wellbeing. A very important part of its design is that it should be supported by your employing organisation and local commissioners. The package is intended to help health visitors to refresh and develop their skills in order to deliver on the offer embedded in the Health Visitor Implementation Plan that health visitors will support, develop and promote services set up by families and communities themselves. There will be someone designated as the Building Community Capacity Lead for your organisation, who will be responsible for the strategic leadership of the programme. One or more people (depending on the number of participants in your organisation) will be designated as Workplace Advisers. Their task is to support and encourage you as you undertake the programme, and to link you to the organisation through regular contact with the Building Community Capacity Lead. The Building Community Capacity Lead will be appointed by the senior executive team, to provide strategic leadership on this package. They should be senior enough to be familiar with Board level priorities and organisational key performance indicators, as well as local health and wellbeing indices. They should be in a position to advocate for Building Community Capacity and the package, with the Board and other relevant stakeholders, and to maintain an overview of projects proposed so that they contribute effectively to the organisation’s goals. They should also ensure that they dovetail with the local Children and Young People’s Plan. They are also likely to be involved in identifying appropriate Workplace Advisers, and will certainly need to liaise closely with them in order to ensure that participants’ ideas and creativity are both sustained and harnessed within the bigger picture. Whilst grass roots identification of issues needs to be encouraged and confidence strengthened, it is important to avoid duplication, and develop synergies wherever possible. The Building Community Capacity Lead may also be able to open doors to sources of funding for equipment, room rental etc where appropriate, or authorise reciprocal arrangements with other agencies which could offer relevant facilities or resources. Each Workplace Adviser will be identified and appointed to this role by the Building Community Capacity Lead, in collaboration with their line manager. It is envisaged that one individual in this role might support up to ten practitioners through the package at any one time. People who might be suitable as a Workplace Adviser could include staff such as community matrons, specialist practitioners, practice placement facilitators, even perhaps a Community Practice Teacher who was not able to find a student (though these will hopefully be rare in future years! 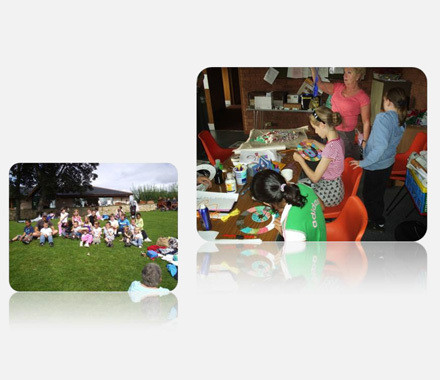 ), or an experienced practitioner with around two years experience of community focused activity. Other suitable people might not be health visitors, but would need to understand community capacity building, and to have a public health perspective. Workplace Advisers will need to work with participants as mentors, advocates and as colleagues to keep them motivated, learning and focused on useful outcomes for their community of focus. They will also need to liaise closely with the Building Community Capacity Lead to ensure that project proposals fit into wider organisational thinking, and that project outcomes are appropriately disseminated within and beyond the organisation. Please feel free to view the Workplace Advisor briefing here. For every participant, part of the package will involve exploring what they already know about community capacity building and what they need to learn or refresh (for example what experience they have had in this area, how familiar they are with models and approaches which might be useful) and what relevant skills they have (for example in working with service user groups) which might be useful, or which they need to develop (for example presenting to interagency meetings, using rapid appraisal techniques or analysing data). For many participants, this may already form part of an ongoing appraisal or personal development process within the organisation. The package should just provide an alternative vehicle for review in this area. The Workplace Adviser will be available to help participants in planning how to address relevant gaps. As participants move into planning and taking forward the project, the Workplace Adviser will be available to help them to reflect on their experiences through structured discussion and to update their portfolio and personal development plan accordingly. When the project is nearing completion (or at the formal assessment point), the Workplace Adviser will be well placed to help participants review what they have achieved, how it fits with personal and organisational objectives, and enable them to share their work with relevant audiences. What IT/technical knowledge/help might I need? If you use a computer at work or at home, you probably have enough IT and technical knowledge to cope! You need to know how to connect to the internet on the machine you use, and be able to use Google or another way of searching for websites. What next? Where could I go from here? If you undertake this programme using an accredited route, then it could help you to build towards a Bachelors or a Masters degree, depending on the level of your existing qualifications. The Credit Accumulation and Transfer Scheme (CATS) allows any university or college in the UK to recognise academic work completed with another provider, and through accreditation for prior experiential learning (APEL) work based experience can also be recognised. We envisage this programme being worth 30 credits at level 7. Depending on the qualification and provider you are thinking of you will need 180 credits at level 7 for a Masters degree. I already do this, do I have to do this training? If you are already actively involved in building community capacity, the programme will help you to document evidence of your thinking and skills through a reflective portfolio, which could be valuable for NMC and other purposes. If you are already delivering a capacity building project with clear, evidenced outcomes, you should be able to agree some updated aims and outcomes with your manager. You may well be in demand to help and support colleagues, you may want to consider applying to your workplace lead to become a workplace adviser for the programme. What will the content of the 'package' look like? The first part will provide links to reference material and online or distance learning materials which will provide updates in relevant areas, for example population health and epidemiology, wider determinants of health, service improvement, social marketing, motivational interviewing, solution focused therapy, leadership skills as well as a wider evidence base for building community capacity and project management. The menu which participants see will be linked to their skills audit. We don’t expect everyone to need to refresh every area. We believe that people will need to go back to this as the weeks go on, and may need to access other material to help them carry out their project. The second part will contain master classes which will present a series of perspectives, from experts and practitioners, and pose questions for discussion with colleagues or individual reflection. The content of these master classes will be driven by current policy developments and key public health agendas. 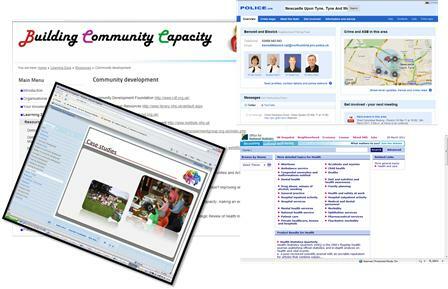 The initial example looks at community development and its role in building community capacity but others will look at some of the implications of current public health and health policy, social care developments, urban and rural regeneration, developments in education , issues around leisure and others related to children and families. How will the programme be accredited? The basic programme will enable everyone who completes it to gain evidence of their thinking and skills through a reflective portfolio, as well as delivering a capacity building project with clear, evidenced outcomes. The programme has also been designed to enable participants to gain academic credits towards a Masters level qualification. You may choose to do this at your local University or by contacting Northumbria University where this has already been accredited. If you do not want to go for accreditation now you may wish to use this evidence of your learning at a later date. You will need to negotiate sufficient time to develop and implement a specific project. You may want to structure your days differently, what is important is that you protect time to do this. Your learning journey will follow the Phases of the package. 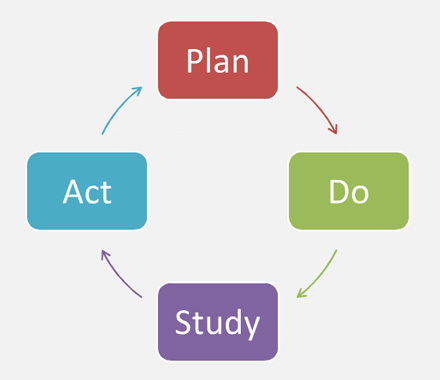 In order to be successful you are expected to complete all Phases to the satisfaction of your employing organisation (and academic tutor if going for accreditation). Whilst each Phase is shown in chronological order it is expected that you will revisit various elements as you go through your learning journey in order to review and enhance your knowledge and skills. The package is supported by a workbook. You are also able to access the relevant section within each Phase below. At both of these points (regardless whether you are going for accreditation or not) you should submit your documents by email to hs.submit-bcc@northumbria.ac.uk. This will enable core information about projects to be shared with other programme users on this site, and help to build capacity across communities of practice and inform the ongoing evaluation of this programme. As your project comes to its planned completion date you will need to share your findings and recommendations through a short report to interested parties, community members, board members, agency staff etc. In addition you may find it beneficial to develop a short presentation in order to communicate your key findings and recommendations. In this area you will find links to a variety of resources which can help you to refresh and extend your knowledge and skills in relation to particular aspects of building community capacity and enabling people to identify and address their health needs. Masterclasses are presented to encourage you to think through key areas relevant to community capacity building, to listen to relevant debates, to be presented with potential resources and to reflect on how the material presented might influence your work based project. If you access the masterclasses using the links below, you will not have to log in but your activity will not be tracked and you will not be able to generate a record of completion. In addition, we have several additional links to websites, and papers on related areas, which you will be able to access in order to follow up issues in more depth. This resource area contains a range of useful information and links to other websites and publications that may help you in your project as well as day to day work if you aren’t already familiar with them. Use the navigation below to go to the resource area you are interested in. Building Community Capacity is a central part of the big society. Follow the links to watch the speakers from the King’s Fund event ‘Health care and the big society’. Professor Sir Michael Marmot led the Marmot Review Team which published Fair Society, Healthy Lives in 2010. For further information on poverty, health and society including the review please click here. Dr Mike Grady Senior Research Associate, University College London; Member of the Marmot review team gave a keynote at the Unite/CPHVA annual professional conference. Held at Harrogate International Centre 2010. Please click here to listen to the podcast. Geraldine Blake, John Diamond, Jane Foot, Ben Gidley, Marjorie Mayo, Kalbir Shukra and Martin Yarnit (2008), Community engagement and community cohesion- Joseph Rowntree Foundation: An exploration of the challenges to be addressed if government policies to promote community engagement are to be genuinely inclusive of newcomers as well as more established communities. Paul Skidmore, Kirsten Bound and Hannah Lownsbrough (2006) – Community participation: Who benefits? – Joseph Rowntree Foundation: This report explores whether policies to involve people in making decisions about their own communities are effective in building strong social networks. Susie Hay (2008) –Developing active networks in local communities: A review of Local Links, a pilot programme in West Yorkshire – Joseph Rowntree Foundation: This study reports on an action research programme designed to assist local people to be better informed, empowered and more effective in their community roles. The Young Foundation (August 2010) What do people and places need from the Big Society? : In this briefing we put forward practical ideas about what communities need from the Big Society to support local engagement, social renewal and improve local quality of life. Peckover, S (2003) ‘I could have just done with a little more help’: an analysis of women’s help-seeking from health visitors in the context of domestic violence. Health and Social Care in the Community, 11(3): 275-282: The research findings suggest that there is considerable scope for practice development in order to ensure that women experiencing domestic violence are able to receive safe and appropriate responses from health visitors. The Health Foundation (2011) Improvement in practice: The IRIS case study: Describes a staff training and support programme to bridge the gap between the voluntary sector and primary care, to harness the strengths of each, and to provide an improved domestic violence service. Local champions are essential to promote the service among their professional peers and encourage implementation. This package is designed to enable you to review and reflect on the processes involved in community development, and its place in building community capacity. This package is designed to facilitate you to reflect on recent policy initiatives of importance to building community capacity and consider their relevance in your setting. Most motivational interview training would occur over several days and would include intensive support and practice components. This package provides a brief introduction to the use of motivational interviewing. This package is designed to enable you to review and reflect on the principles of service improvement and consider how you could release time to build community capacity. This package is for Workplace Advisors to provide an overview of the Building Community Capacity Programme, discuss its principles & structure and explore the role of the workplace advisor during health visitor participants' journey. Genetics - What do I Need to Know to Help the Families in my Care? This session has been developed to help health visitors when caring for children, to understand the important part genetics plays in their clinical role. It focuses on the practical, ‘must know’ knowledge that they can put to immediate use in their day-to-day work. This session will help health visitors better understand the needs of separating parents. 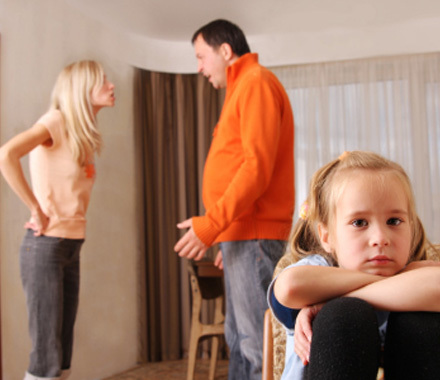 It provides practical information about child maintenance and the specialist sources of help they can direct parents to and will enhance their capacity to support separating families in their community. Whilst your ‘project’ may take a particular form it is intended that all Building Community Capacity projects will be focused on drawing out and strengthening your skills and knowledge in developing and influencing people to meet the health and wellbeing needs of your particular community and implement change. The programme will allow you to refresh and develop your knowledge, skills, confidence and understanding and apply this in your own practice. Demonstrating Your Achievements are an important part of the programme. They will help you be clear about what you have learnt, and will assure your managers, clients and colleagues that you can do an effective job in community capacity building, and that you have the tools to continue doing this. It is most important in order to meet the requirements for ‘Demonstrating Your Achievements’ that you follow the detailed guidance and complete the relevant activities which you are required to submit via hs.submit-bcc@northumbria.ac.uk. Click here for the Workbook. To be submitted through hs.submit-bcc@northumbria.ac.uk approximately 6 months after beginning the package (for recommended Structure for the Final Report see Page 30 in the Workbook). If you have decided to go for academic credit for your learning gained through engagement with the package, you can do this by enrolling with Northumbria University. You will normally be expected to enroll at the start of your learning journey but it may also be possible for you to do this at a later stage, as long as you are able to demonstrate that your learning is at Master’s level and includes the required elements (outlined below). Northumbria will award you with 30 credits of learning at Masters Level if you are successful. This equates to 1/6 of a Masters qualification. The credit gained can be used as exemption against the University’s Learning in and Through Work Programme: the Masters in Professional Practice (click here) and also a number of health related Master’s programmes within the Faculty of Health and Life Sciences (depending upon the context in which your learning and project has been developed and applied). There are a number of additional mandatory requirements to the Standard Package that you must submit in order to gain accreditation, However, in order to assist you to get the best from your learning journey, all these elements are recommended for all participants to complete whether or not you are going for accreditation. So, if you intend to commit fully to this package you are very likely to have addressed all or many of the elements for accreditation. Within the Workbook (click here) there is additional guidance at each phase of the learning journey for those going for accreditation. On enrollment participants (who then become students of Northumbria) will be provided with further guidance on what they need to do and what support they can expect to receive from the University. You may also approach your local university who may be able to accredit your learning using a similar framework (click here for a list of universities offering flexible work based learning packages). Emboldened elements are the additional mandatory elements which must be included with the portfolio for accreditation. 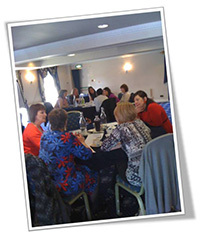 In February 2012 we presented the programme to colleagues at DH/CPHVA Roadshows in North East (Newcastle) and Yorkshire and Humber (Quarry House). 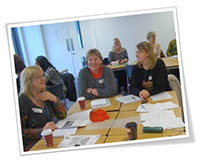 In February 2012, we worked with colleagues in West Midlands to look at the programme. In March we also presented at a meeting in Yorkshire and Humber (at Wakefield – see below). We are also working with colleagues in East of England and in Somerset. Yorkshire and Humber Celebrate Building Community Capacity! Pauline Watts from the Department of Health opened the celebrations in Wakefield in September 2012 with an overview of the National Context – Supporting children and families for a healthy future. Then health visitors and colleagues from across Yorkshire and Humber presented their projects, reflecting on what had worked and what hadn’t, thanking the people who had supported them (especially workplace advisers) and demonstrating what a fantastic range of work they had done with and for their communities – and are continuing to do (because it doesn’t all end here!). The health visitor proposing it says: The local Children Centre approached me to do a group for parents and children that would help in reducing obesity. In 2010, in the UK almost one in three children are overweight or obese, this has a devastating impact on their health in later life and increases the pressure on the NHS (THSCIC 2012). …One of the children centre key targets is to reduce obesity in their area, they have done a 10 week Henry course but found it difficult to continue supporting families around healthy lifestyles once this course finished. We did not want to focus the group strictly on weight loss as this could create anxiety for parents who have relatively healthy young children. Healthy lifestyles (healthy eating and exercise) will promote small lifestyle changes whilst highlighting the benefits and discussing the barriers. By promoting small changes to family’s lifestyle this hopefully will make a positive impact on improving long term health outcomes, such as reducing obesity. We look forward to hearing how it has gone! Positive feedback was received after each session from clients and the final evaluation questionnaire completed by the group identified that they had benefited not just from the increased knowledge of what to expect, but also the new social networks they had formed with each other. Midwifery input was initially challenging due to their lack of involvement. However, this is improving since a link midwife became involved with the project. The opportunity to apply for a small grant from Derbyshire Children and Young People’s Health Promotion Programme arose. I applied for this and was successful in securing £250 for the group. I have also written an article for the Healthy Herald newsletter to raise the group’s profile further. A new course is underway and dates are planned for the rest of this year so it will be a rolling programme. A letter has been sent to service managers in social care informing them of BUMPS.2.BABIES with an accompanying referral form. Enhanced midwifery input to continue. It is possible that group attendance can be increased if there is promotion of the group by young people who have attended. There are two young parents in the group who are keen to promote the group further and discussions and preparation for their involvement will take place before the next planned course. Further promotion and advertising of BUMPS.2.BABIES to other agencies locally. Evaluation of the parents’ confidence levels when their babies reach 4 months of age. A number of you have asked how BCC links to your appraisal and KSF. In response we have added more information on the site. If you aren’t familiar with the KSF dimensions and are unsure about what the levels mean, you can follow this link to the NHS employers website which includes summary descriptions of the KSF Core dimensions which will help you understand the levels 1-4. You may want to review your existing KSF outline and mark on the grid below what levels you need to meet. The red numbers indicate the average levels for health visitors at a band 6 & 7. If you don’t have an outline you may want to use the 6 core dimensions and think about the levels you need to demonstrate and where this fits with your project. If you aren’t familiar with the KSF dimensions and are unsure about what the levels mean you can follow this link to the NHS employers website which includes summary descriptions of the KSF Core dimensions which will help you understand the levels 1-4. It also gives you more detailed information on appraisal and maximising the use of the KSF.